The day may have started off with snow showers but by the afternoon the day turned out beautiful! The chickens and ducks are loving it but I think this human is loving it even more. As always, there is so much to do in the spring. From winter debris and branch clean up to new items on the checklist of To-Do’s. I’m just glad to be finally be outside. My first batch of incubated chicks are throughly enjoying the coop during the daytime. 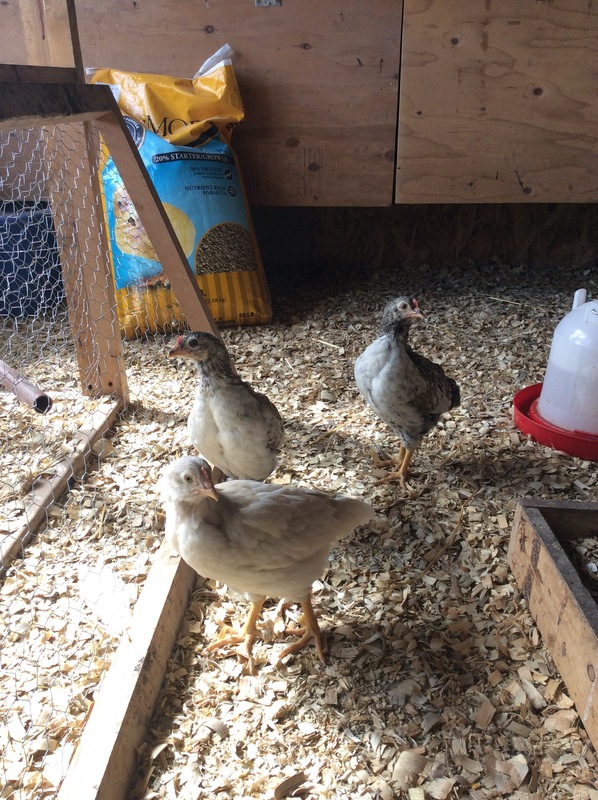 It has given them a chance to get out of their transition brooder pen. 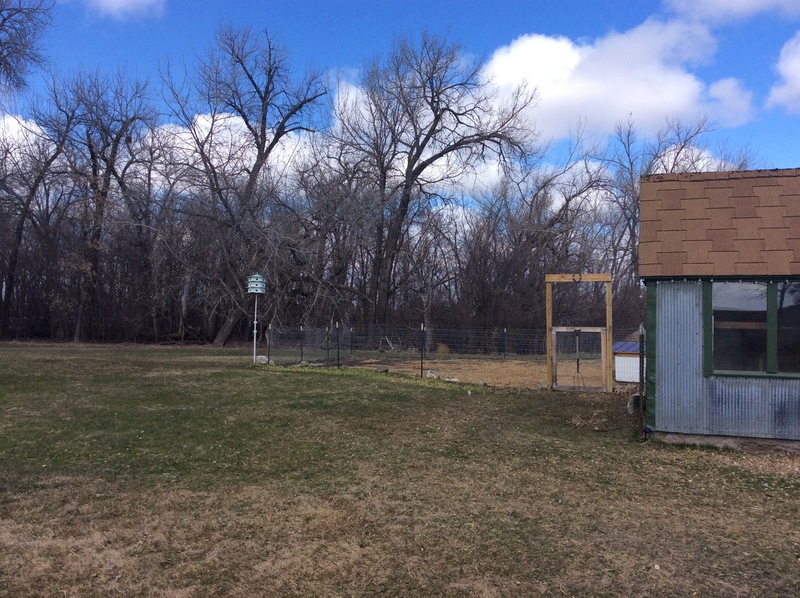 While the adults are out free ranging, the chicks also enjoy scratching around in the covered outdoor pen if its warm enough. From time to time I’ll let a lingering hen stay in the coop with the young birds. The hens are mostly interested in laying their eggs but it also helps acclimate both age groups to each other. It is now much easier for me to keep an eye on them while being outside myself. One of my tasks today required a bit of elbow grease or shovel power. Previous owners of the farm had a thing for rings. A ring around this tree, a ring around that bush and rings around things that didn’t even exist anymore. After pulling 3 of them I thought I was finished. On my way inside for lunch I stumbled across a neatly camouflaged lip of yet another ring. This time, I also found a cement paver and an old electrical line buried in the center. 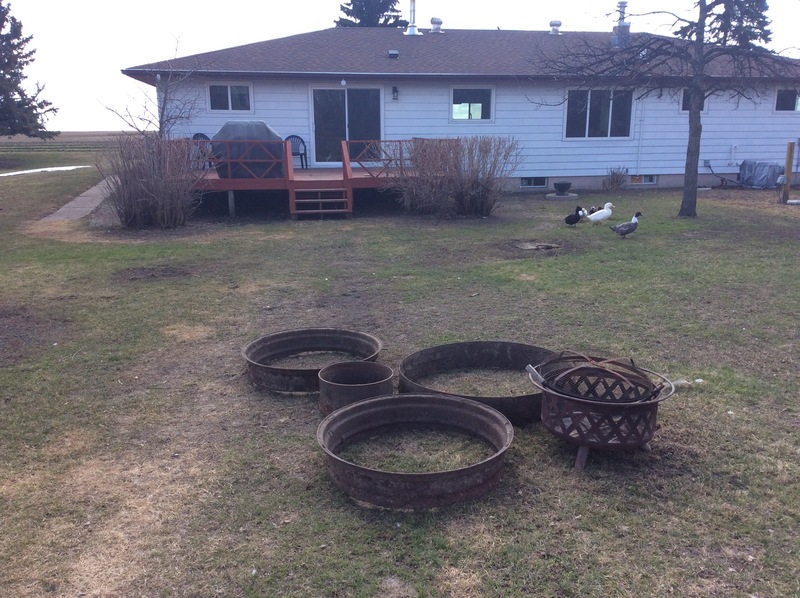 My husband will be happy to have his choice of 4 rings to use as a fire pit. We’ve missed campfires so much over this past year. With all of our work on the house we didn’t enjoy too many fires last summer. Most nights we were too tired to bother, all we wanted was a hot shower and our pillows. With more time to unwind this season, a fire pit will be a little slice of heaven in our backyard. To clear our intended fire pit area I had to move a birdhouse out of the way. After digging up the post I installed the birdhouse at the corner of the garden. Because I find the birdhouse pleasing to the eye I placed it within site of the kitchen window. The chosen placement is also easy to mow around…BONUS! While the shovel was out I also transplanted a young gooseberry bush. Unfortunately, it was right in the middle of the house to garden walkway. Even though I got a lot done, I didn’t finish all of the work. I wouldn’t want to be accused of being an over achiever this early in the spring season. I saved a little bit of work for my husband and I’m sure he will be overjoyed. 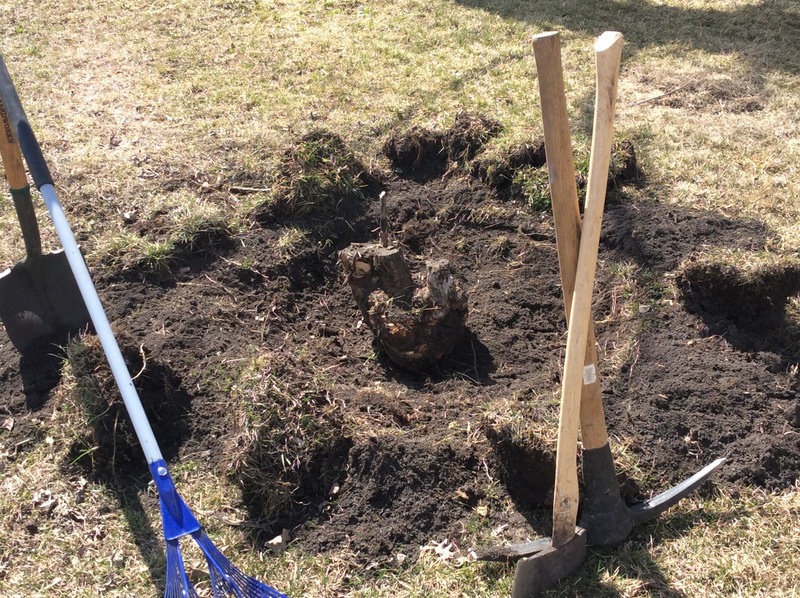 This stump removal is all his! Throw 1 of those metal rings you have down around stump and burn it.